Testamentary trusts do not take effect until the will itself takes effect. 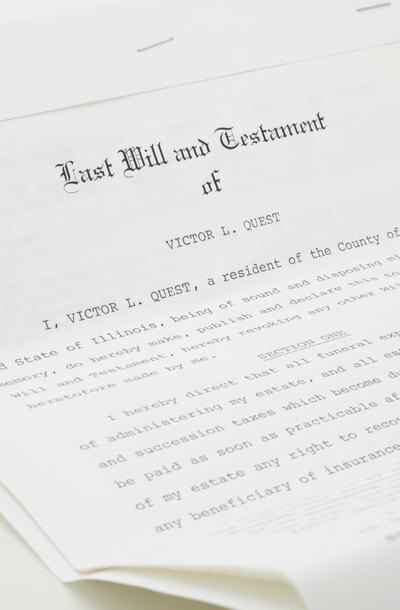 Typically, your will describes the intention to create a trust and the rules by which the trust will operate; however, until you die and the will passes through probate, neither the will nor the trust is legally operative. You have the option to amend either document before your death, but once you die and the will and its accompanying trust become operative, both documents will be irrevocable, meaning that you can no longer change them. For a major change to a testamentary trust, you will typically need to revoke, or cancel, the original will and execute a new one with language changing the trust. Laws about revoking or amending a will may vary from state to state. However, all states allow you to revoke your will by creating a written and signed document that declares your intent to revoke the will, or by physically destroying the will itself with the intent to revoke it. Regardless of the method, once your will is revoked, the testamentary trust it contained will also be revoked. You are then free to execute a new will that contains your changed intentions regarding the trust. Executing a formal will is a more complex process than simply writing your intentions and signing at the bottom. The formalities required depend on state law, which varies widely. However, you will generally need to not only write and sign your will, but have two or more people with no interest in the will witness you signing it. States also require that you be able to understand, at the time of signing, that you're signing a document that disposes of your property after death. Note that some states allow informal handwritten, or holographic, wills which may bypass some of these formalities. Another way to change a testamentary trust is to execute a codicil, a sort of addendum to the will which makes minor changes without revoking the entire will. Depending on state law, however, a codicil will generally require the same formalities as execution of a new will. Codicils are typically used only for minor changes to a will, so if you want to amend the language dealing with the testamentary trust in a major way, such as changing the beneficiary, your estate attorney will probably recommend executing an entirely new will.